The Sons Of Liberty - Deal With Them! 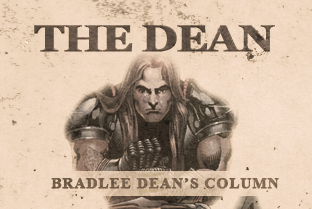 Home - The Dean-Deal With Them! Blagojevich gets 14 years. America, can you say Amen!? What a precedent this sets when corruption in government is dealt with. What kind of a message do you think this sends to those who think they are above the law, when they are dealt with by that very law which exposes their corruptions? Now lets deal with the rest of them. America, this says you’ve had it with corruption! This is how you win your country back. The people of this great and blessed country know that when someone takes to office (whether it be the president, senate, congress, or any other office that they have been entrusted to serve in) they have no authority to tear down the Constitution and rebuild it in their own image. What? Now that, for example, the president of the United States takes to the Oval Office, he can for 4 years break the laws that he is called to enforce, and rebuild the country to his liking? This is illegal and unconstitutional, and therefore criminal activity. Criminals in government (or otherwise) mock society’s laws. America, your compassion is a weakness the enemies of the U.S. Constitution do not and will not share. Criminals thrive on the indulgences of society’s understandings. The corrupt depend upon you and your ignorance of the Constitution. Our forefathers left their posterity an example that exemplifies the opposite of what some are tolerating in America’s government today. They threw off tyranny; they didn’t tolerate it. And that is obedience to God and country.